From a small fishing town, Shanghai, also known as the Pearl of the Orient, has emerged as the eighth largest city in the world, drawing millions of tourists and businessmen alike. China’s largest city spread over an area of about 6341 sq km, is the epicenter of all business activities in the country and is well-equipped to handle that responsibility. This fishing town soon became a busy seaport and is now one of the largest cargo ports in the world—talk about development! Of course it’s strategic location helped in trading with the West. 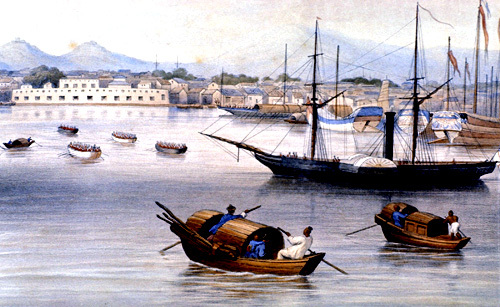 The name itself, which translates to ‘on the upper reaches of the sea’ tell of its coastal location on the banks of the Yangtze River, Asia’s longest river, in East China. 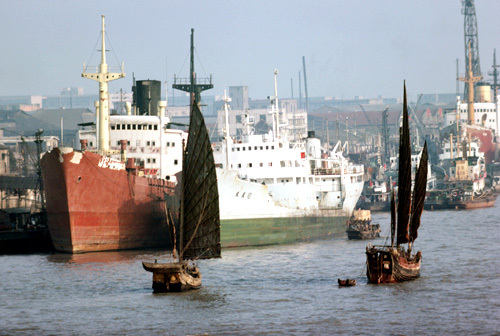 Shanghai faces the East China Sea and has the Huangpu River running through the city, with the two major commercial centers of the city, Puxi and Pudong, on either side. The city has seen its share of troubles, but has triumphed over them all to become the industrial capital of the People’s Republic of China. It is also the country’s most important cultural, commercial, financial and communication centers. The main language here is Mandarin or the local dialect Shanghaianese, which sounds similar to Japanese and unlike Mandarin has no tones. The city is a melting pot of cultures. The population is predominantly Buddhist or Taoist, but major ethnic cultures are represented. 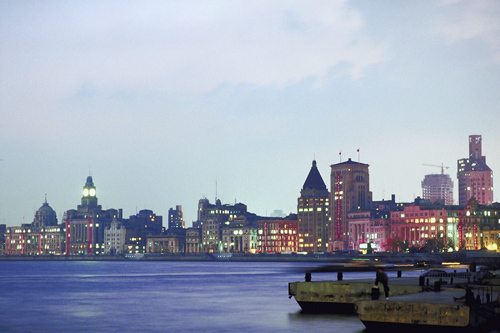 Seven out of every ten visitors to China come to visit Shanghai and it is not difficult to see why. Shanghai is one of the best examples where East meets West. Rooted in Chinese tradition, the city could be mistaken for any western metropolitan with imposing modern architecture and well planned infrastructure. The Donghai Bridge, 32.5 km in length, linking mainland Shanghai to the Yangshan islands is the longest cross-sea bridge in the world. With a population of over 16 million people, the city is one of the most populated in the world. Shanghai enjoys more economic freedom than other Chinese cities. Its open policy attracts foreign investors, which in turn expands business opportunities inviting more expatriates and increasing consumerism. Local brands and fake items can be found along with top-of-the-line high quality international brands. One of the most important commercial centers of the city is the Pudong New Area, literally meaning ‘the east side of the river’. It houses Shanghai’s stock market building, the Jin Mao tower that ranks as the fifth tallest skyscraper in the world, the imposing Oriental Pearl Tower, the city’s international airport and the first commercial magnetic levitation train (Maglev). On the opposite side of the river is Puxi. Old alleyways and houses are making way for swanky high-rise apartments, museums, theatres and malls. At one count there was estimated to be over 3,000 high-rise buildings in the city. The city is growing at such a fast pace that it is said to have one-fifth of all the world’s construction cranes! Now preparing to host the 2010 World Expo, the city is once again preparing to transform and reconstruct itself. Major development changes are already underway but not at the cost of the environment. State-of the art urban structures are interspersed with green areas. The city wants to add the sobriquet of being a ‘green city’ along with its many names and live up to the slogan for the Expo ‘Better City—Better Life’. City planners are already working on an elaborate project of building an eco-city on the wetlands of Dongtan at the mouth of the Yangtze river. When completed, it would be the first such city in the world which would be self sustaining and would cause no appreciable damage to the environment. Given its strategic location and importance, it is easily accessible from most places in the world. The city is well connected with the world with its two airports, Hongqiao and Pudong International airports. Needless to say, Pudong has the second highest traffic in China given the nmber of people it attracts. Shanghai also has two main railway stations, Shanghai Railway station and Shanghai South railway station that connects with the rest of the country for those inclined to take it a little easy and are not in any particular hurry. More than six expressways lead into the city from Beijing and cities around Shanghai although traffic concerns are a given. Within the city too, it is relatively easy to get around. Given the sizable population, public transportation becomes key. Buses, taxis and the metro system are indispensable while commuting in the city. Another alternative, quintessentially Chinese, is to ride a bicycle. The subway system is a faster way of covering the distances in the traffic-clogged city and is relatively inexpensive. You could even opt for a rechargeable Jiaotong Card if you plan to use the subway fairly often. The advantage is that the card can also be used to pay for bus, ferry and even taxi rides, The fare will be automatically deducted from the card and you could keep adding more denominations to it depending on the use. The city’s Pearl Mass Transit railway is aboveground and also a good way to commute. If you prefer to take a taxi, always keep a business card of your destination written in Chinese so you could show to the cab driver since English is not understood by many, and even if you speak Mandarin there is always the chance of a confusion arising due to improper pronunciation or tone. Buses, again, unless you are sure of the bus routes, it is better to avoid them since they are less comfortable than the metros or taxis. So get on only if you have plenty of time to spare and a good sense of adventure. To take the city in its totality you have to explore every nook and corner which can only be done on foot. Walk into the small shops, meet the locals and pick up a few souvenirs and oddities, but never forget to carry a map. If you are not one to take chances and would prefer to be pre-armed with as much information as you can, visit the China National Tourist Offices’ (CNTO) website www.cnto.org.